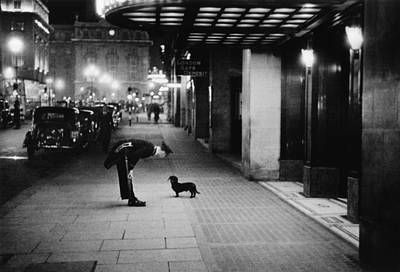 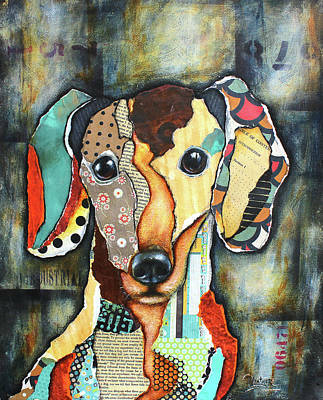 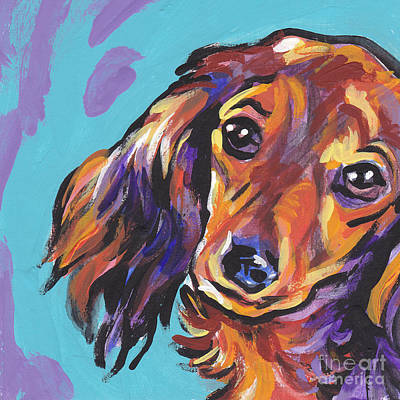 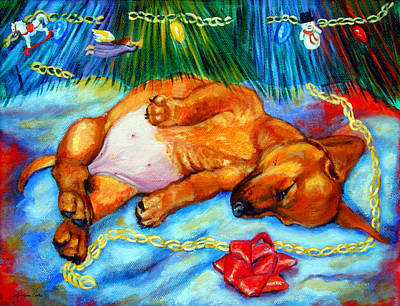 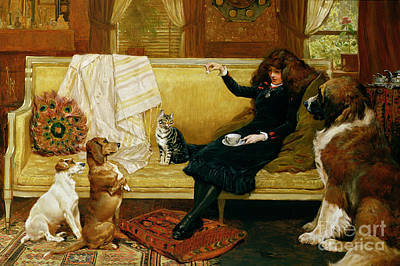 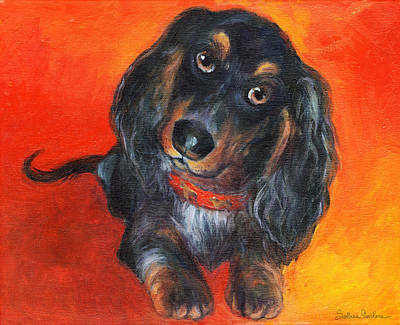 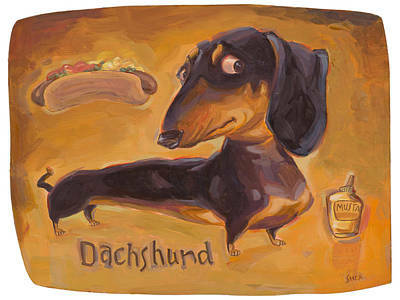 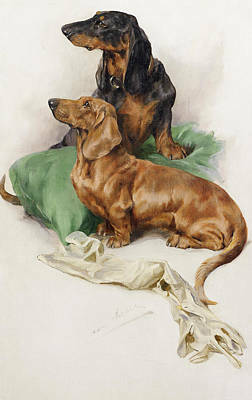 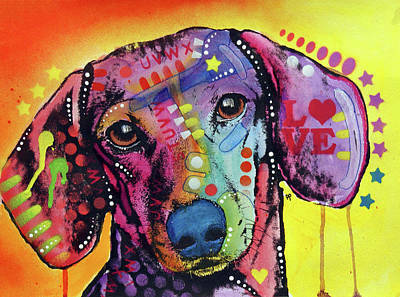 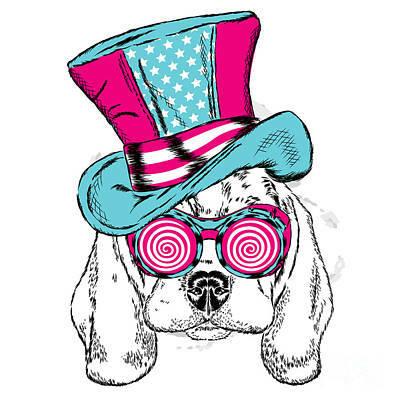 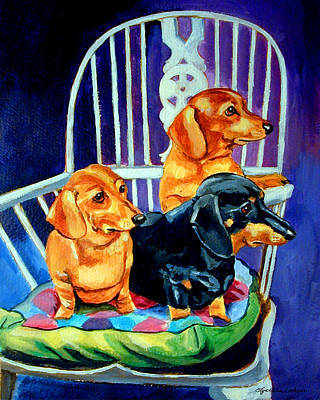 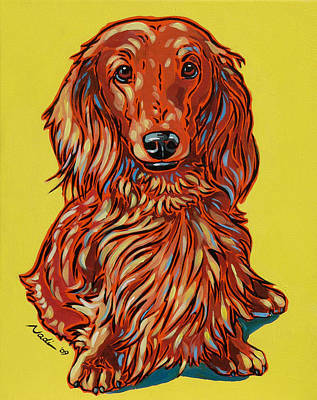 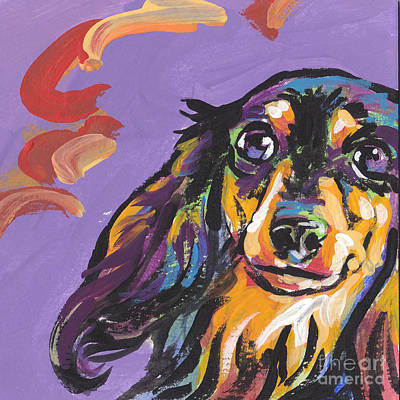 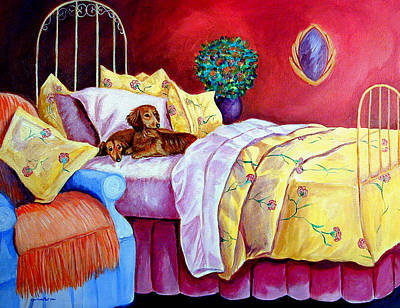 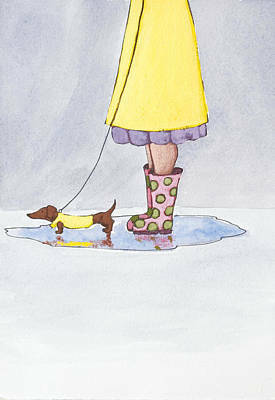 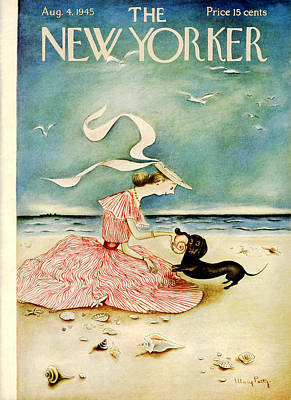 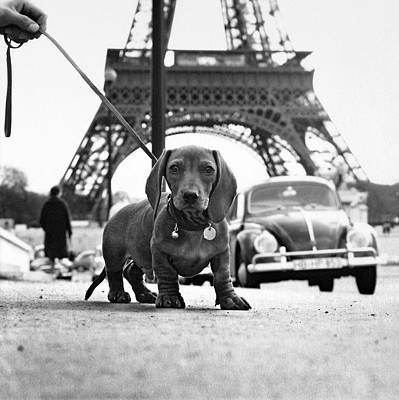 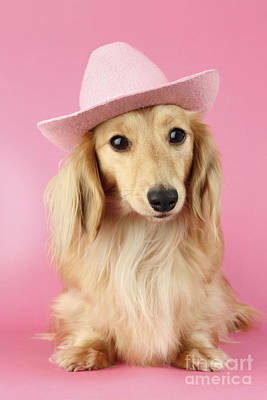 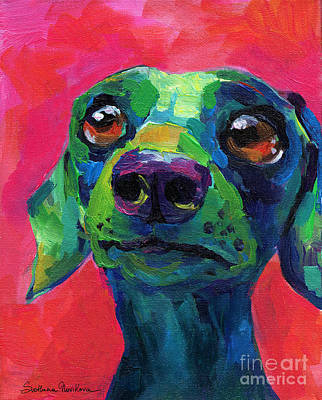 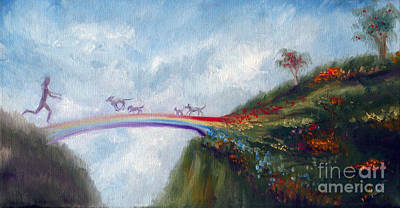 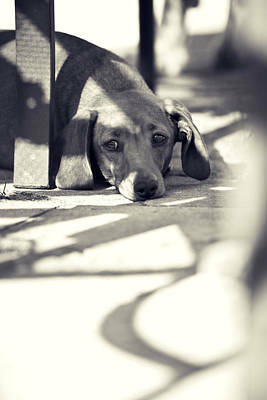 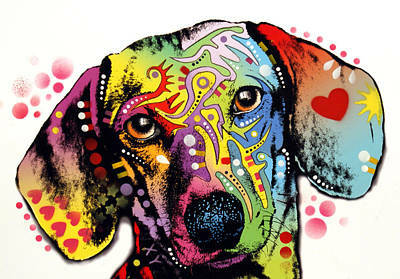 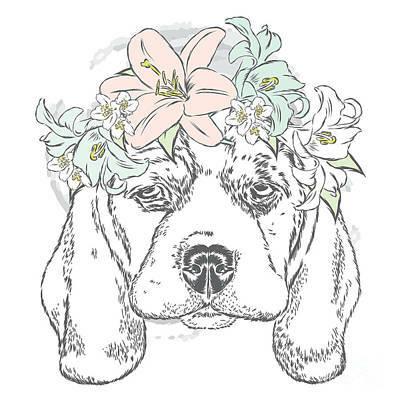 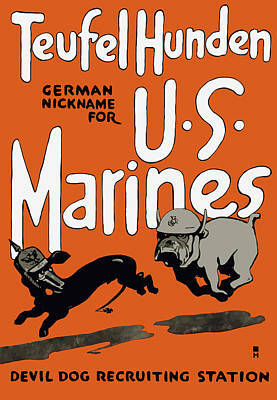 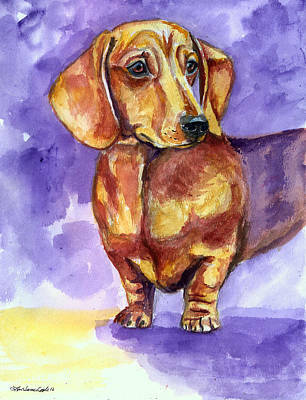 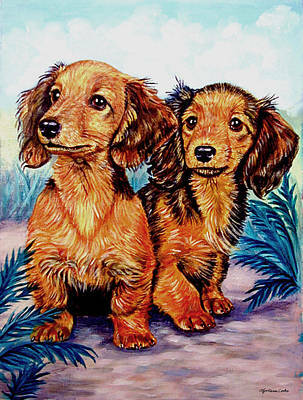 Dachshunds are the very "hot dog" or "hound dog" celebrated in so many songs and works of art. 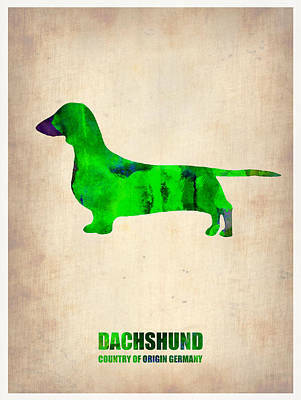 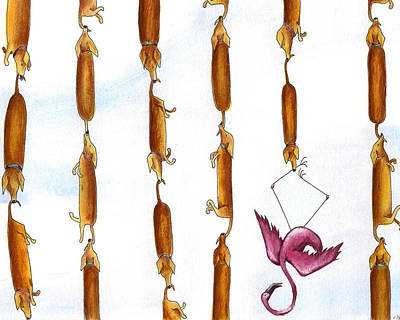 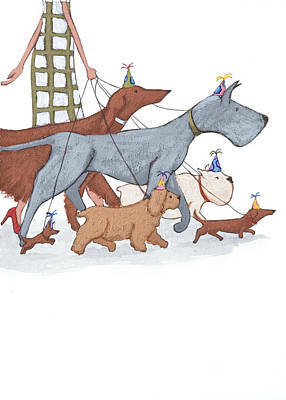 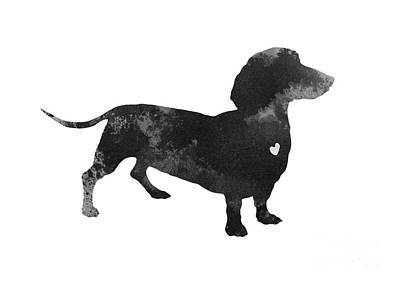 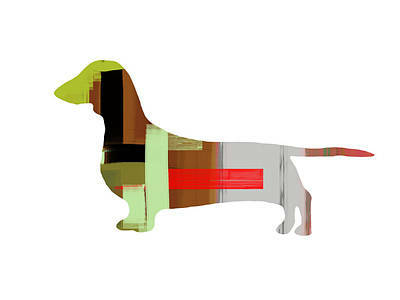 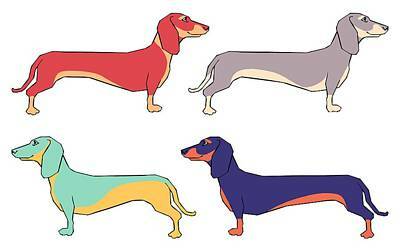 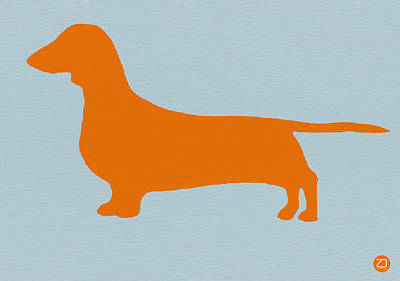 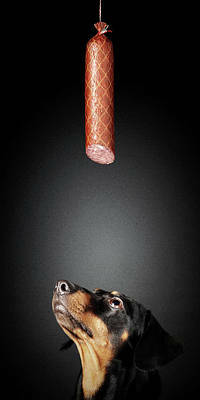 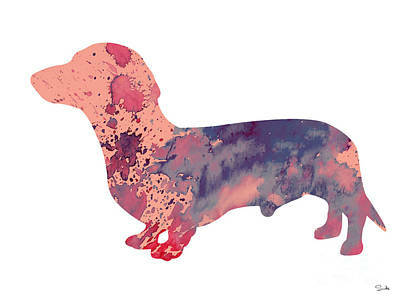 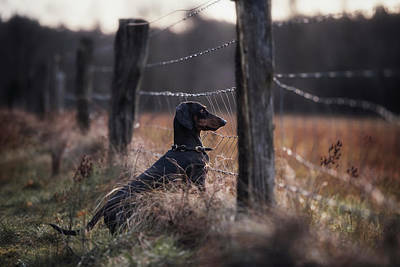 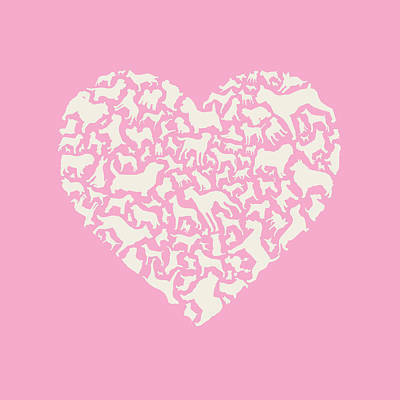 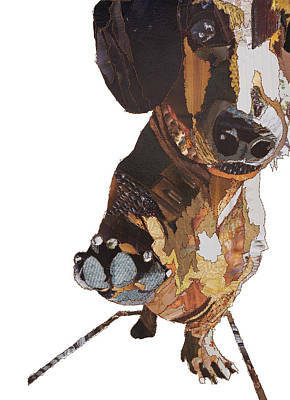 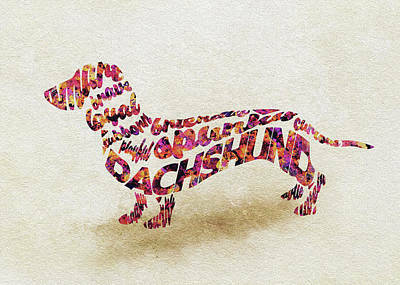 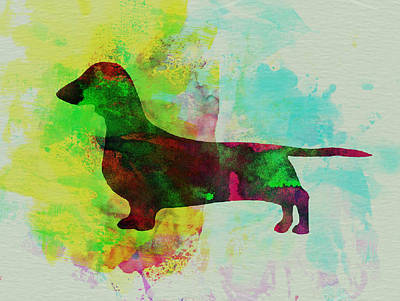 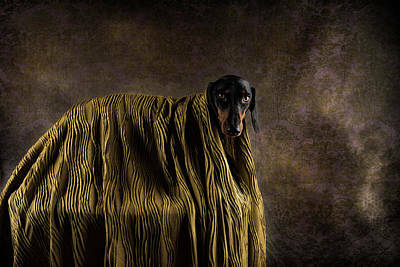 Dachshund artwork celebrates this famous hunting breed in all of its long-bodied glory. 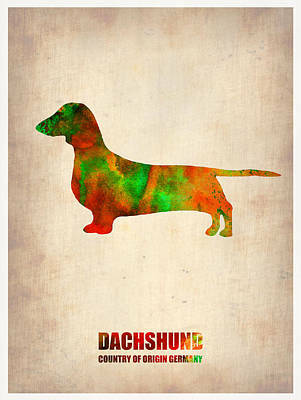 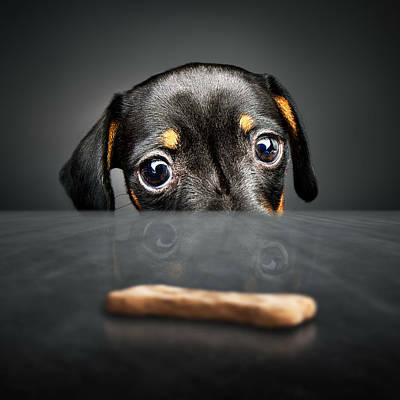 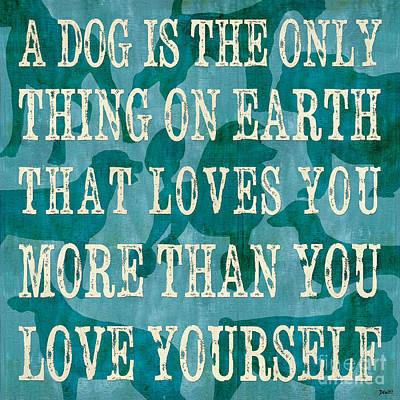 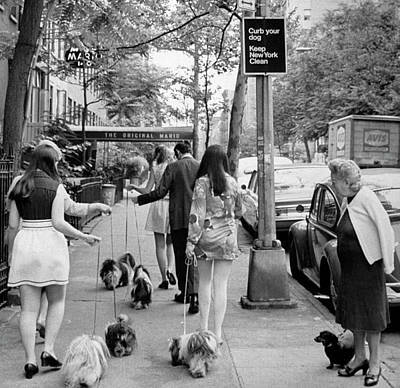 Dachshunds' habit of barking at everything, size, and cuddliness endear them to lovers of small, feisty dogs. 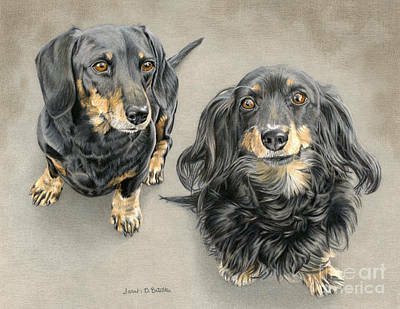 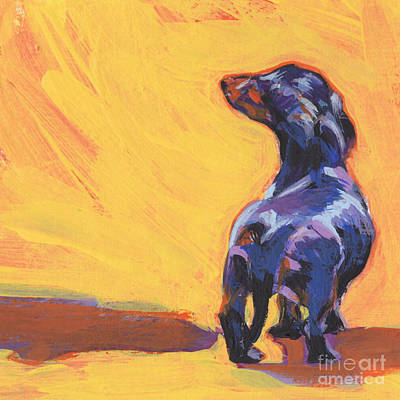 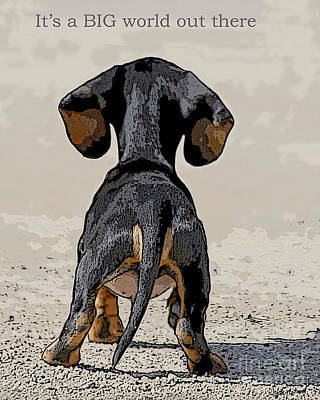 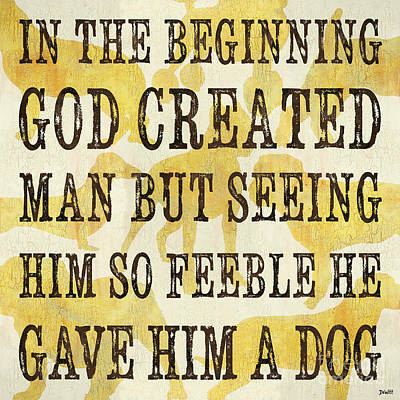 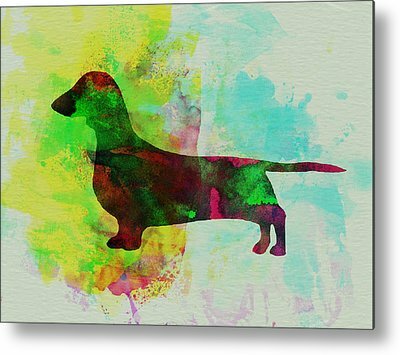 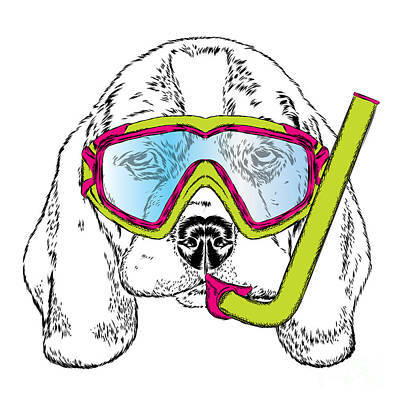 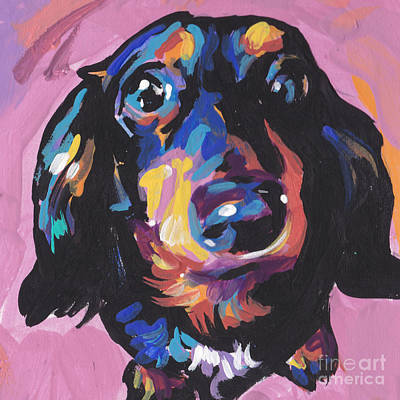 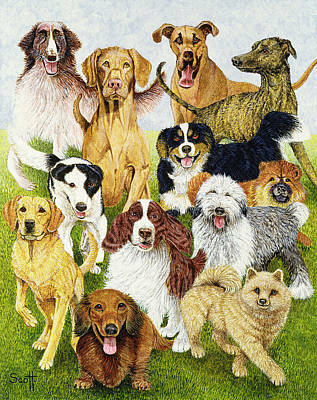 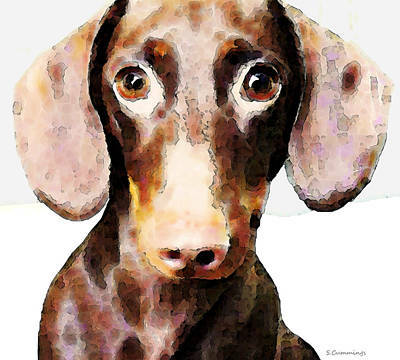 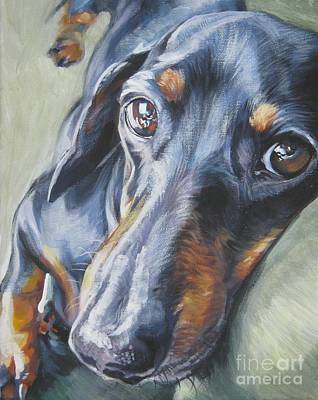 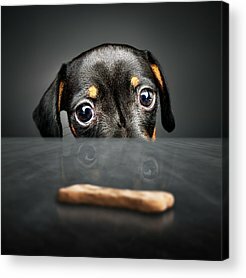 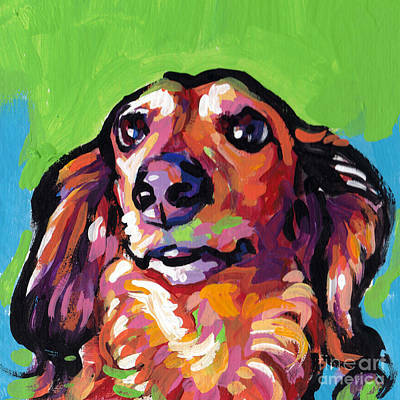 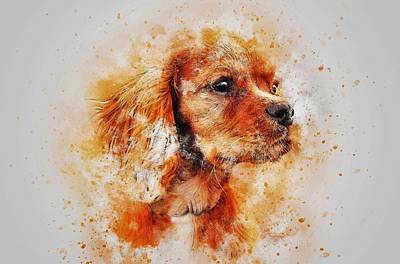 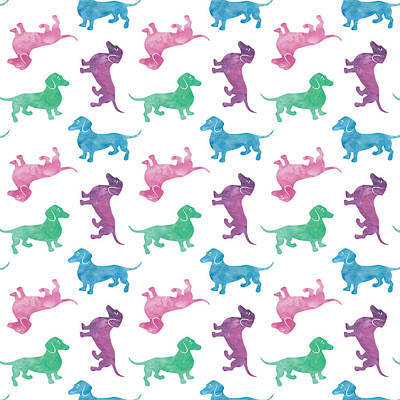 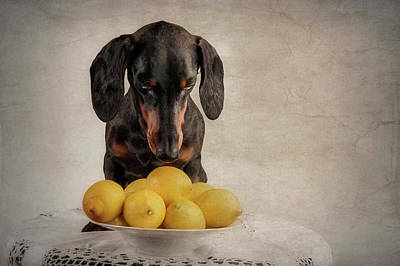 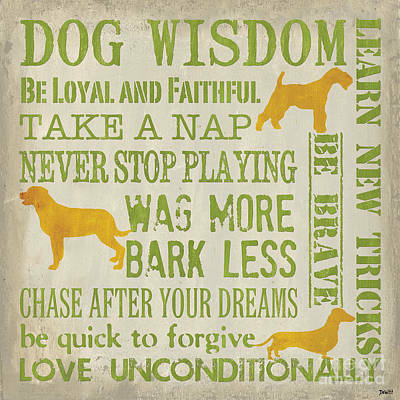 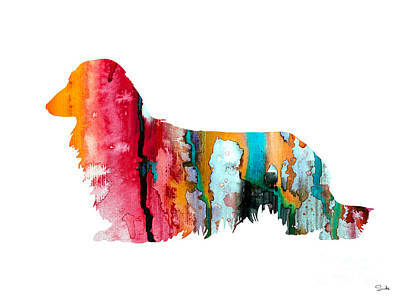 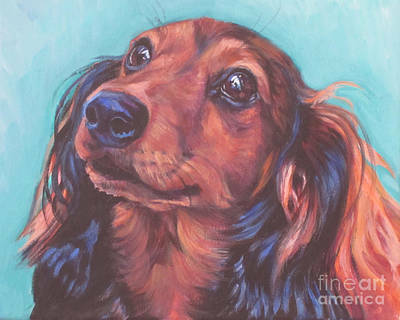 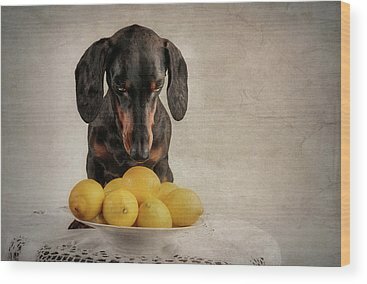 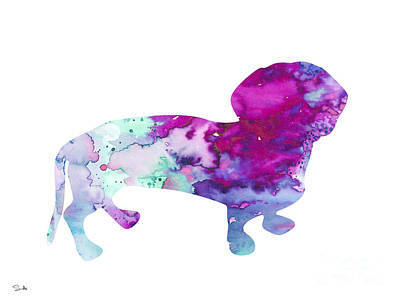 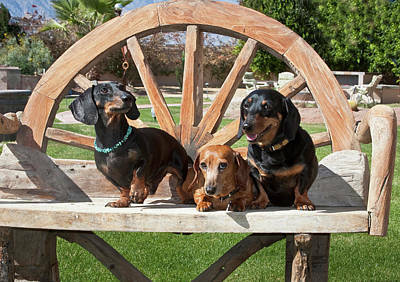 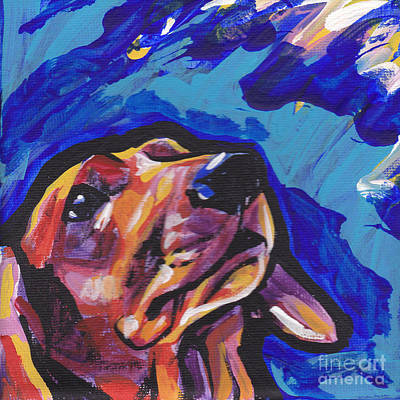 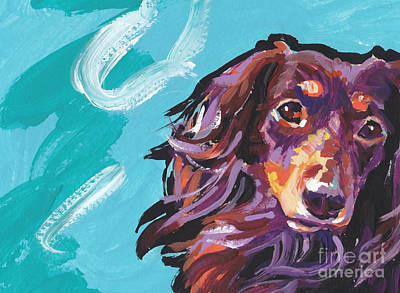 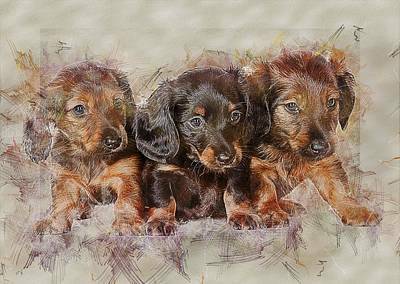 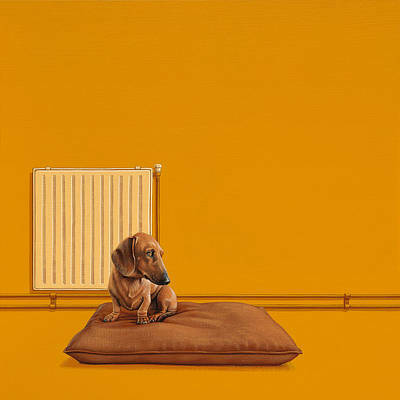 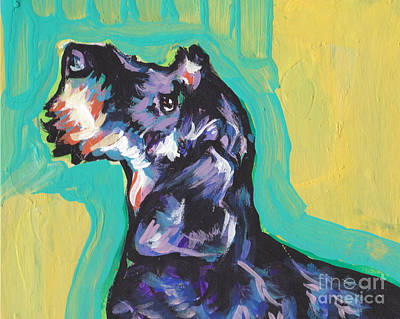 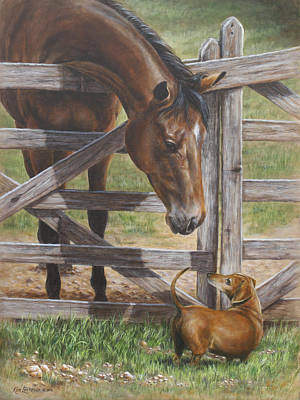 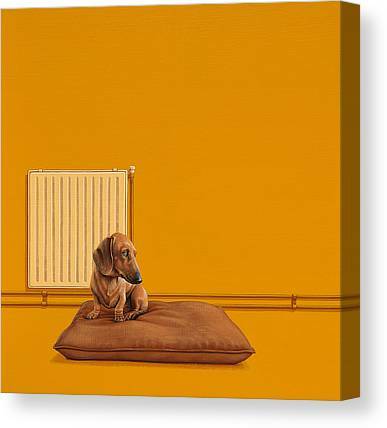 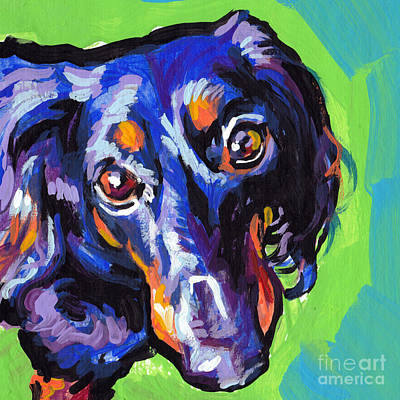 Dachshund artwork lets you highlight this breed's legendary handsomeness and character traits in the decor of your home, animal rescue, veterinary clinic, kennel, classroom or farm.